Autism affects 1 in 68 children in the US today, and over 19,000 individuals right here in San Diego. 100% of the dollars we raise stays in San Diego to help improve opportunities for those with autism in our community. 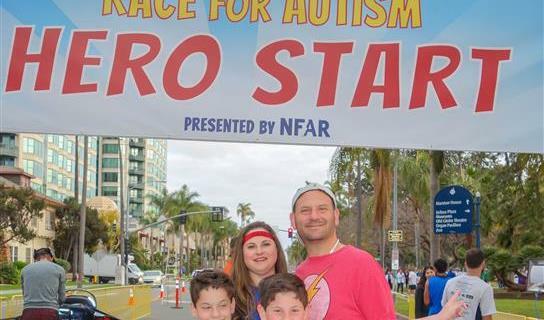 The Race provides funding for autism treatment programs, vocational training for young adults, parent programs, educational workshops, and funding to hundreds of local classrooms, benefiting thousands of San Diego children and families each year. Every dollar truly makes a difference for our children! Please join our family on April 6th in Balboa Park and give as generously as you can. Every little bit helps! Your support is greatly appreciated. 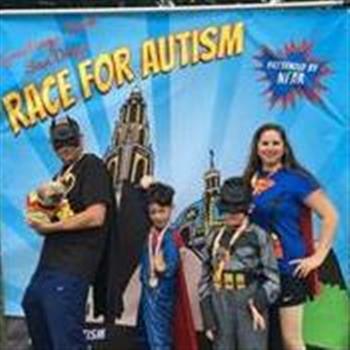 You can be a SUPERHERO for autism! 2019 Race for Autism - Thank You! Allison, so happy and thankful to have you and the boys as friends! We're happy to support your cause and you. love your boys! Love seeing them in Bima Beats! Go Team Leads! We are cheering for you! Happy Birthday Lucas and Riley. Have fun at your race! I will be at PTI but will be there in spirit! Go Leeds Crew!! We love you! Sorry we cannot join you all this year. All the best!!! We are happy to support you for this important community event! Go Leeds Crew! Go, Go, Go Leeds Family!